I need to visit the Boulder store sometime, it's not far from me at all! Their pre-order prices are discounted and I noticed they have some trial sizes for 99 cents! Great post! 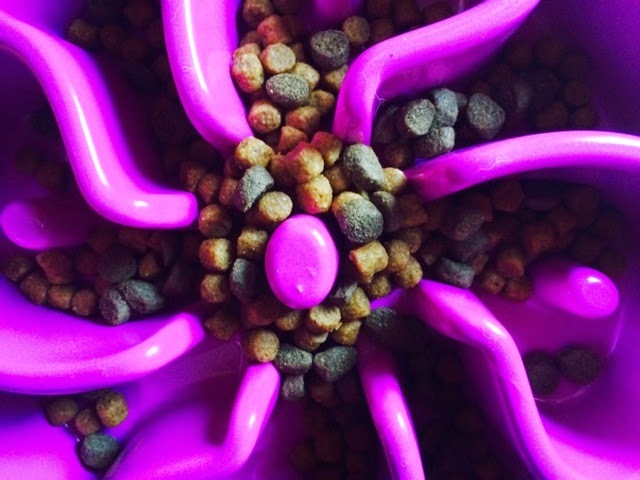 We are loving our pups being on natural dog food! Makes such a big difference with their energy level. I didn't even think about using a Slo Bowl, and I'm sure that would help the transition even more. Great idea and thanks for sharing! Happy Monday! Bets & Co at Sweet. Dog. Life. My picky dog Ruby has so much more interest in her food if there is some puzzling or play involved. The Slo Bowls have been a huge hit at my house! Hey wow, Silas can eat that. Usually he can't do fish kibbles, because he's allergic to salmon. I would also like to add my allergy PSA here: it's a great idea for every dog to rotate to a different source of protein periodically. Unlike people, dogs generally become allergic to foods from over exposure. Even if you change kibble brands, there's a good chance your dog will be eating one of the same two or three proteins every meal. That's so cool! Great point about protein rotation. I even try to make sure their breakfast protein and dinner protein are different because I'm weird like that. Hmmm, now I am interested in your rotation diet... I guess your dogs do well with the raw in the mornings? I may need to test this out with Shiner. Great review also! Shiner loves her Fish Feast as well. Sounds like your pups do well with transitions too. The main brands I feed are Addiction, The Honest Kitchen, Fromm, Nature's Variety and Wild Calling. We've had no problems with feeding the combination of freeze-dried raw in the morning and kibble at night. I know some raw feeders caution against mixing the two but my dogs have never had any issues with having them at separate meals. I'm not sure if the fact that it is freeze-dried makes a difference. Ruby and Boca both prefer the Addiction dehydrated over The Honest Kitchen, but it is not as highly rated on Dog Food Advisor. I'm hoping to try the other flavors of the Only Natural Pet food, too - I see on their website that they've added a red meat variety. Wow! That food sounds awesome! I might have to order some samples! 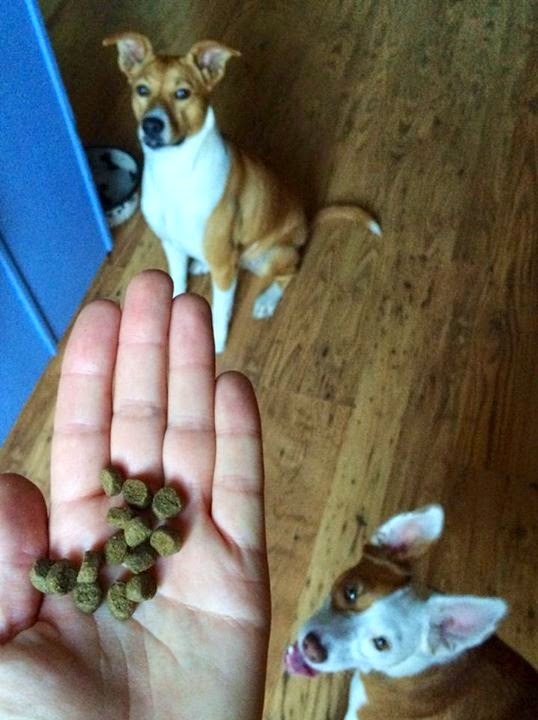 The kibble is a nice size for our size of dogs, too! That food sounds pretty good, I should look into a rotation diet. It always surprises me when Laika loves fish flavored foods, for some reason it seems odd to me, but they love what they love, I'm not going to argue. Thank goodness for all the great pet foods available now. It's a bit overwhelming but like you I'm a bit embarrassed by some of the foods I used to feed my dogs. Since Only Natural Pet is in your backyard, you should see if you can get a factory tour. I bet the Ginger Sisters would love to be "tasters."